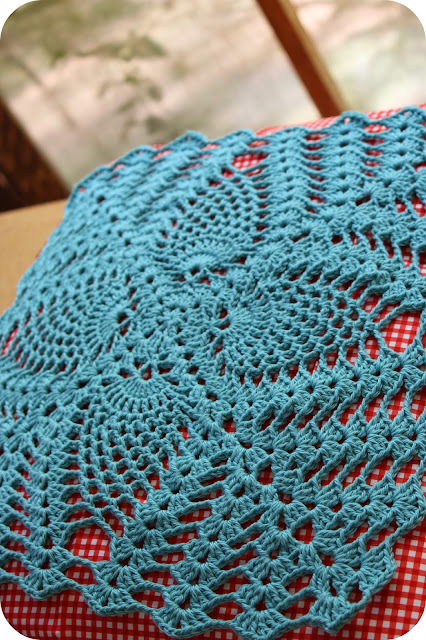 Girls Wear Blue Too: Crochet - I think I've got it! Crochet - I think I've got it! A few years ago I would say I could crochet but not read a pattern. Knitting patterns were like second language to me but crochet patterns ... hmmm totally foreign. Seeing something like 'in next dc htr, in next 1ch sp 3 tr, in next dc htr .... ' would have made me break out in a sweat and back off in confusion but now I recognise it as a option for a corner! I believe my pattern reading ability started after buying the 200 crochet blocks book about a year ago, I think that those were the first 'written' patterns I worked with and understood, being able to create something from a written pattern that looked like the picture beside it was amazing! I am by no means fluent in the language of crochet but I understand enough to get me by and know enough to work some things out for myself. If I come across an unfamiliar term I can look up what I don't know on line. I'm adding to my collection of books and spending more time on Ravelery. It so exciting looking at things and knowing I could make them someday if I wanted to, instead of wishing I knew how. I still have a lot to learn but I am most certainly on the road and enjoying the journey. These photos are of a Pineapple pattern I worked up. Its from Sascha Kagans crochet inspiration book. I borrowed this book from the library but I have one on its way to me for my personal collection as I think its a great resource book. 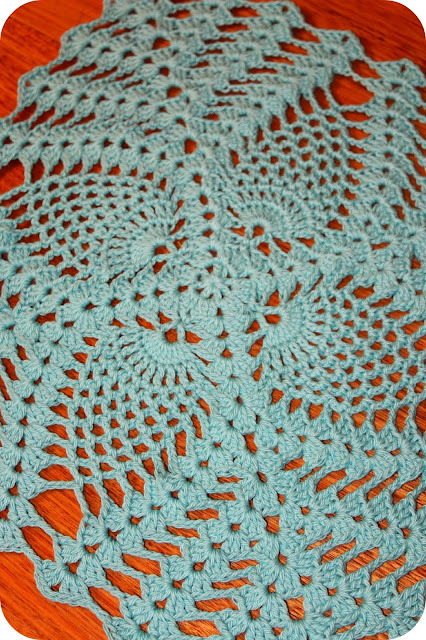 I was trialling the pattern as an option for the wash cloth swap I am in but as it ended up being 14 inches across its now destined to be attached to some fabric and adorning a cushion front. I tried it against some bright colours and patterns but am thinking it would actually look lovely on some unbleached linen or the like. Maybe something in a neutral tone with a really subtle pattern. That is just lovely. I can crochet granny squares but that's my limit! LOL! You do some very pretty work. Wow, I'm seriously impressed. Although I "crochet" my skills are limited to granny square stitches and their variations. I get a headache just trying to read a pattern, let alone the conversion between the English/European vs the American names for every stitch. I LOVE that square though, and it will make an amazing cushion front! You are very clever! Thank you gorgeous Cass! 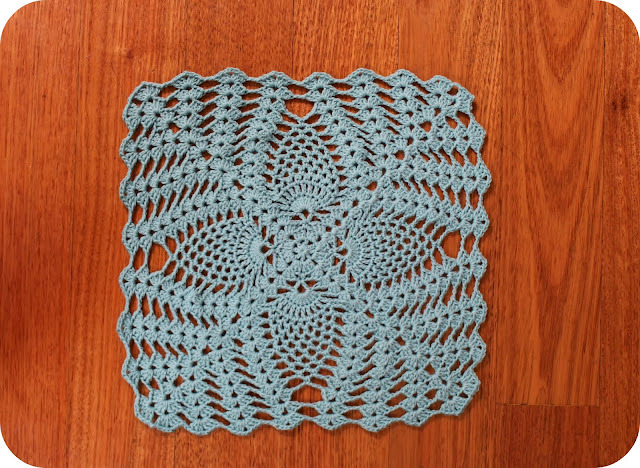 Thats how I started out with the single and double crochet squares, first in lines then in rounds and clusters. I think that being told I have inspired someone to take a step forward or try something new is the loveliest compliment. Thank you so much :) I still look at this piece and think Wow I made that! So beautiful! Love the colour and the pattern! !